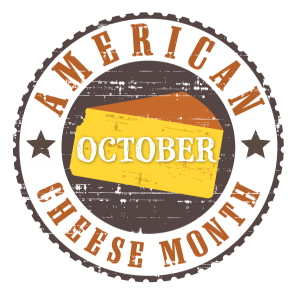 American Cheese Month: Give us a review and win! In honor of American Cheese Month, we are awarding our popular Cheese Slicer to anyone writing a product review on our website in October! Here’s how to win: Find your favorite product from Nelson-Jameson on nelsonjameson.com and add a review (review as many products as you want, but only one gift per person). We will pick someone to win each day through October. The winner will receive a FREE cheese slicer to use with your favorite cheese during American Cheese Month and all year long! This entry was posted in Cheese & Dairy Products, General, Press Room. Bookmark the permalink. Follow any comments here with the RSS feed for this post. Post a comment or leave a trackback: Trackback URL.